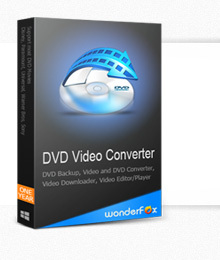 This instruction will show you how to convert video to audio by using WonderFox DVD Video Converter. WonderFox DVD Video Converter enables user to extract audio from different video files and then convert to popular audio formats. Follow the steps below to convert video to audio and easily select an audio format as output audio file format. Select a video file which you want to extract audio from. WonderFox DVD Video Converter offers all popular audio formats for users to choose for the output audio file.